Armed police. 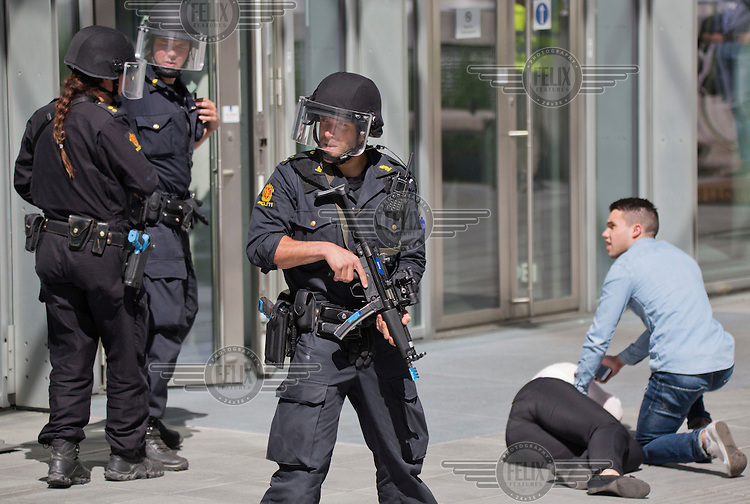 Norwegian emergency services practice various scenarios related to violent attacks in a government building in the centre of Oslo. The two terror attacks in Norway July 22 , 2011, left 77 people dead and sparked a debate about the failiures of the police. Since then the autorities have been working to improve the readiness, but exercises prove progress is slow.